Ok. So today I decided to brag about this dish. Er. I mean blog about this recipe. This was only after I realised this dish is not yet in my blog archives. How can that be? It's one of my all-time favourite dishes way back when - as an appetizer usually when out drinking with mates. Back in the day. And yes, at home too as a main dish. Its a simple dish without the need for a recipe, really. Just the basics of olive oil, garlic, chillies, parsley and good ol' salt and pepper. Its actually one of those dishes which you can re-create on your own just by tasting the dish. You know those times when you eat something at a restaurant that looks easy enough and you try to replicate it at home. Well, this is like one of those. Actually just look at the picture and you will already know what to do. Gambas al Ajillo is a Spanish dish which originates from the South of Spain and it is really a tapas dish - an entree or appetizer. A long time ago, when I took a short Spanish cooking class at the Sydney Seafood School, this was one of the tapas dishes we prepared. Intentionally, I enrolled to learn the basics of paella. And it was a bonus to learn two other tapas dishes - this one included. An easy Spanish tapas dish which is already a hit every single time. When I organised the Taste of Harmony lunch at work and asked everyone to bring a dish from a country they want to visit, I initially thought of making Tres Leches Cake because one of my dream is to visit South America and trek the Machu Picchu. But I also would love visit Spain and making this was easy enough on a weekday morning. Heat olive oil in a skillet or pan. Add the garlic and cook until soft but not brown. Add the prawns and stir until cooked through. I'm grateful that I work in small organisation and coercing everyone to bring a dish with a theme was too easy. Everyone had a good lunch celebrating with lots of food and stories to share. 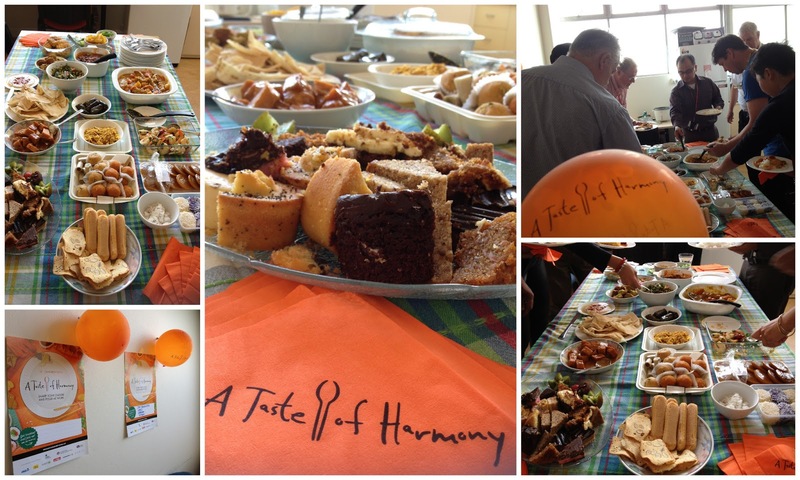 * Taste of Harmony is an initiative by the Scanlon Foundation whose vision is to enhance social cohesion in Australia. TOH is an annual event which encourages workplace colleagues to share food and stories from different cultural backgrounds.